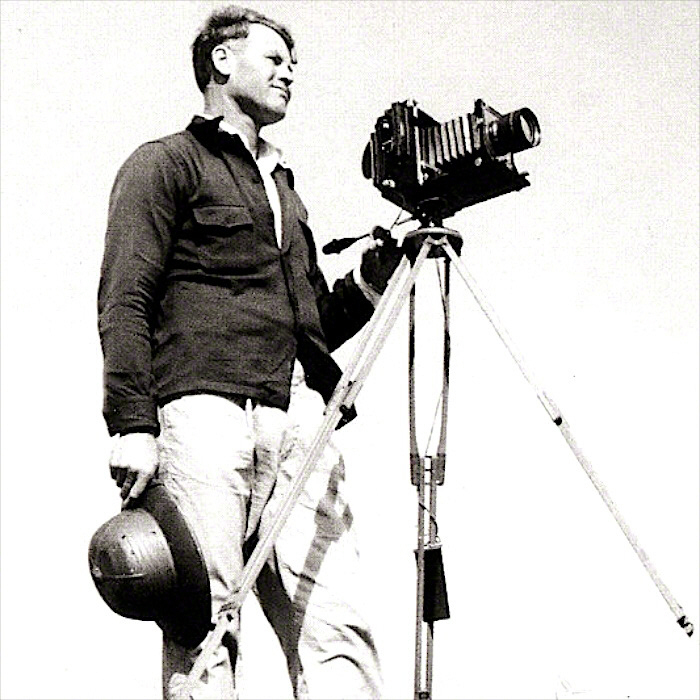 Back in 1927 Tom Blake, a competitive swimmer from Wisconsin, found himself working on an interesting craft project in Hawaii. Introduced to this weird Hawaiian activity which came to be called surfing, he'd been exposed to the sport through fellow swimmer and surf pioneer Duke Kahanamoku. 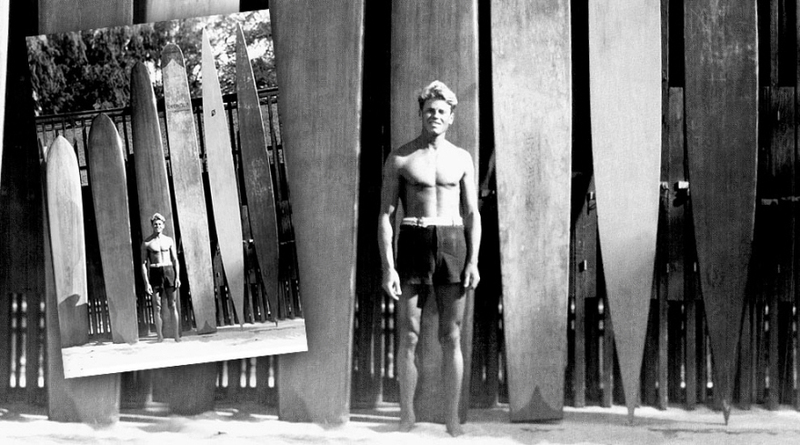 Blake had spent three years trying it out and visiting a museum in Honolulu to look at early surfboard/paddleboard designs, called olo. Olo were gargantuan affairs. They were some fifteen feet in length, three to four inches thick, made from a local wood like koa in Hawaii or redwood in California, and required plenty of muscle to haul around; some weighed well over 100 pounds. 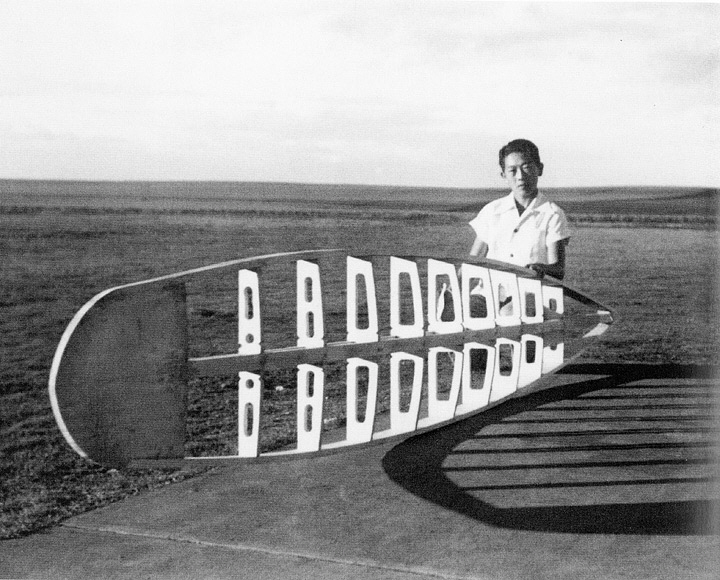 Blake was building replicas of the olo he'd studied in the museum and wondering if he could make them lighter. The idea he came up with was to drill hundreds of holes in the board, just to remove mass. Then he skinned both sides with thinner layers of wood in an effort to seal the surface. Blake's invention worked well enough that he continued down this road, eventually striking upon the idea of not starting with a solid piece of wood at all, but instead cutting thinner pieces of wood into ribs and a spine, in the manner of an airplane wing. He'd then skin the skeleton in wood, creating a relatively watertight surface—a plug was needed to drain whatever water got inside after each session—and succeeded in getting the weight down to around 40 pounds. 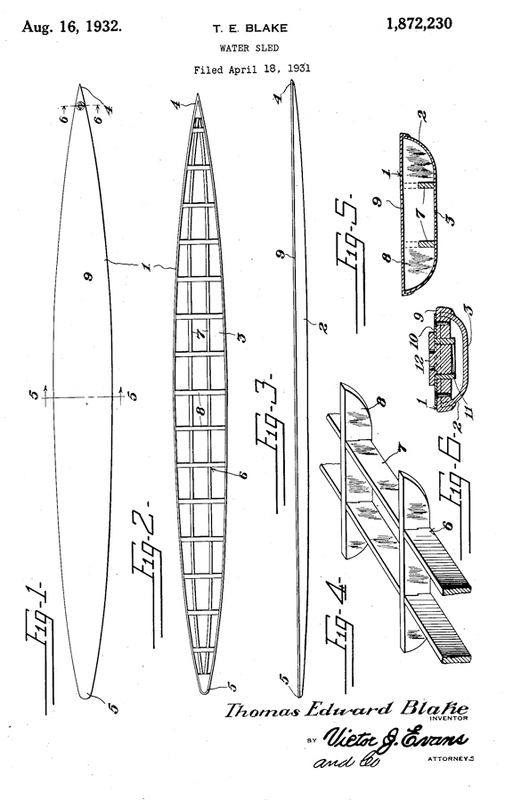 By 1931 he'd applied for a patent, and the following year was awarded U.S. Patent No. 1,872,230 for his design (amusingly referred to as a "water sled"). 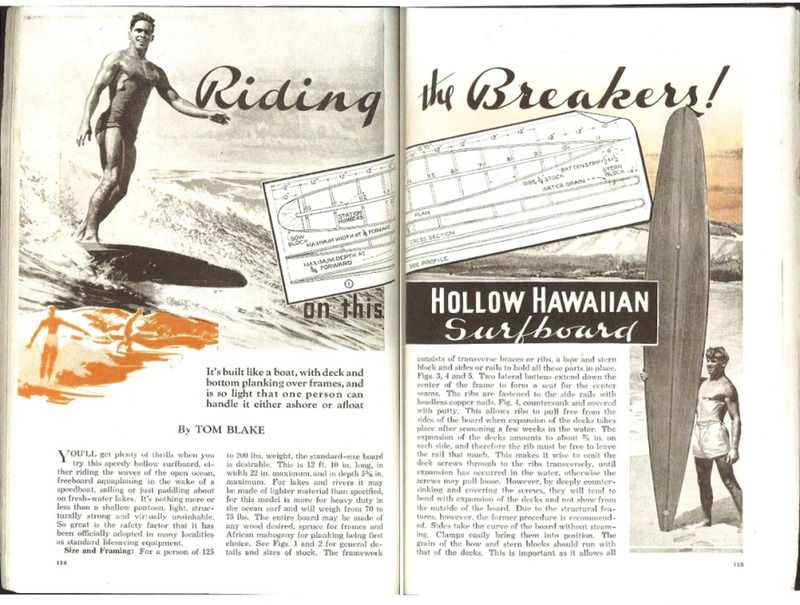 By 1932 Blake had opened a business producing his innovative surfboards and paddleboards in Venice, California, and later licensed his designs to other manufacturers. 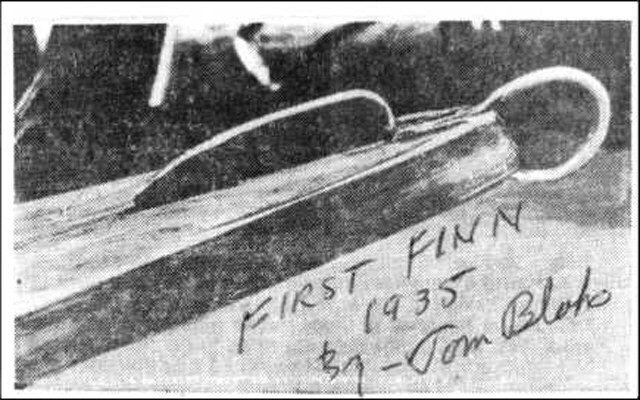 In 1935 he came up with another idea—adding a fin to the underside of a board—and again found success, as the simple addition provided lateral stability and gave the surfboard better maneuverability. 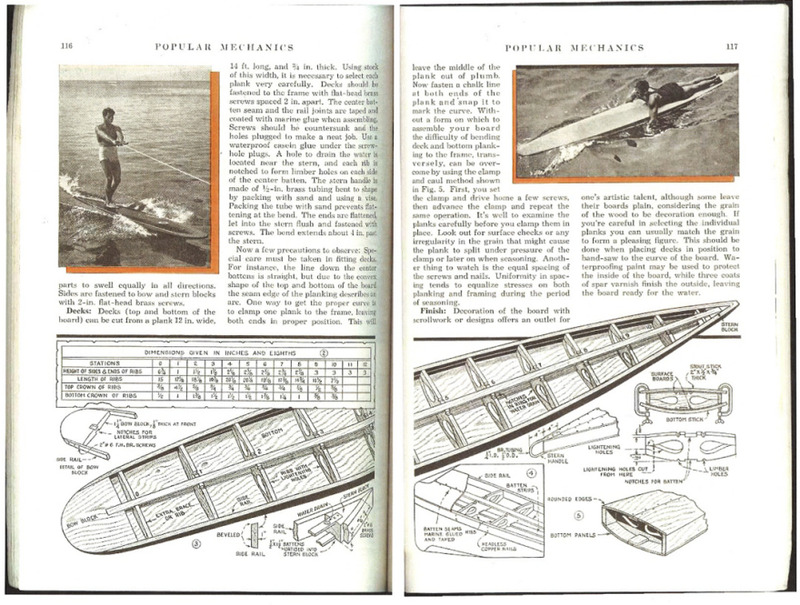 …and by 1939 his designs had been published in both Popular Mechanics and Popular Science, with Blake writing accompanying articles on how to DIY them. "Blake altered everything," surf journalist Drew Kampion wrote in 2001. 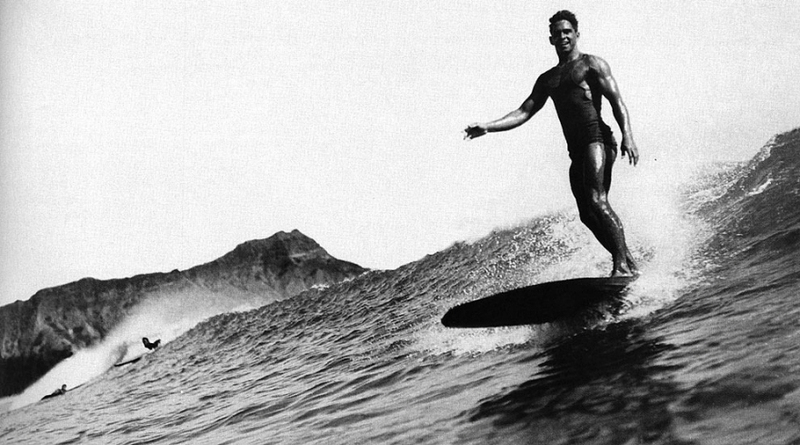 "He almost single-handedly transformed surfing from a primitive Polynesian curiosity into a 20th century lifestyle." Blake accomplished this despite having no industrial design training—heck, back then most people didn't even know what industrial design was—and indeed, lacking a formal education, as Blake had dropped out of high school. So, would-be design entrepreneurs among you, I'd urge you to look around at objects within your own realm of experience. There is something around you that more people would like to use, but do not, because it's too heavy, too light, too big, too small, too unwieldy, too hard to learn, or in some way inaccessible. Think about how you might be able to improve it, and if you've got the passion to see it through, perhaps you could be the Tom Blake of [fill in the blank]. 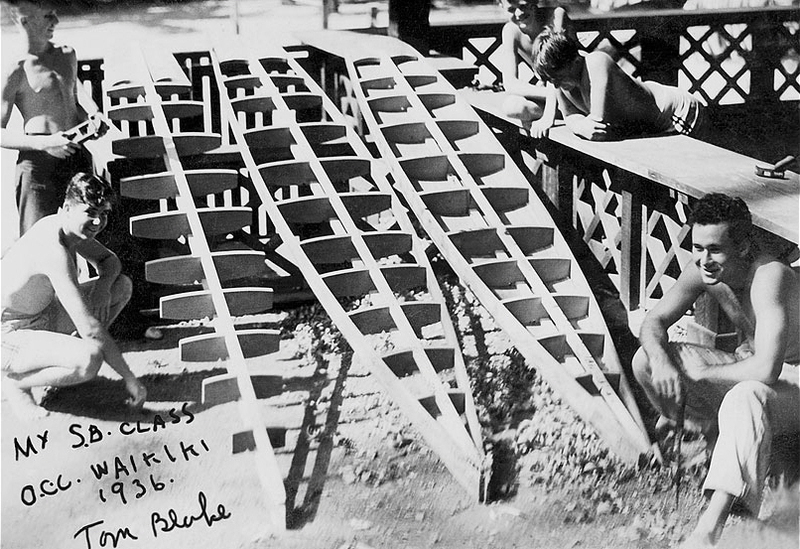 Blake's hollow boards eventually became supplanted by better material technology, and today polystyrene foam, fiberglass and resin are the rule. But that doesn't mean that all modern-day boardmakers have forgotten what a Blake board was like. Stay tuned.